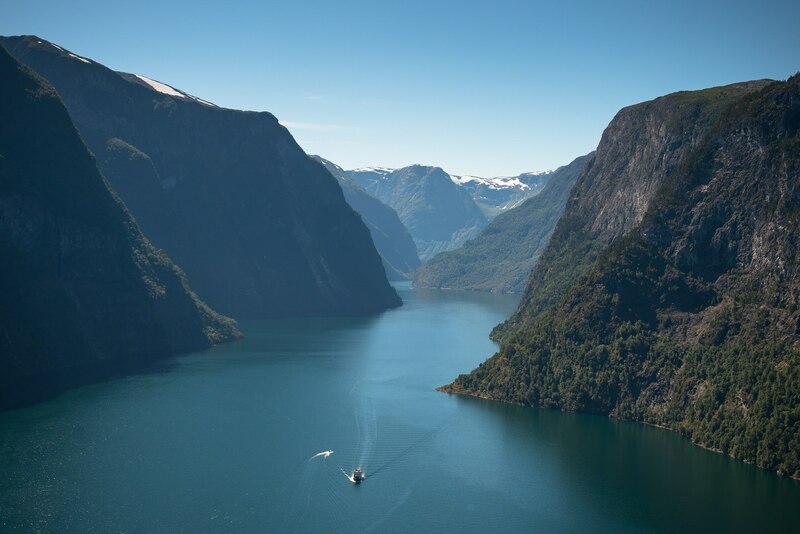 This ride passes through the Nærøyfjord one of the areas of the UNESCO world heritage list. 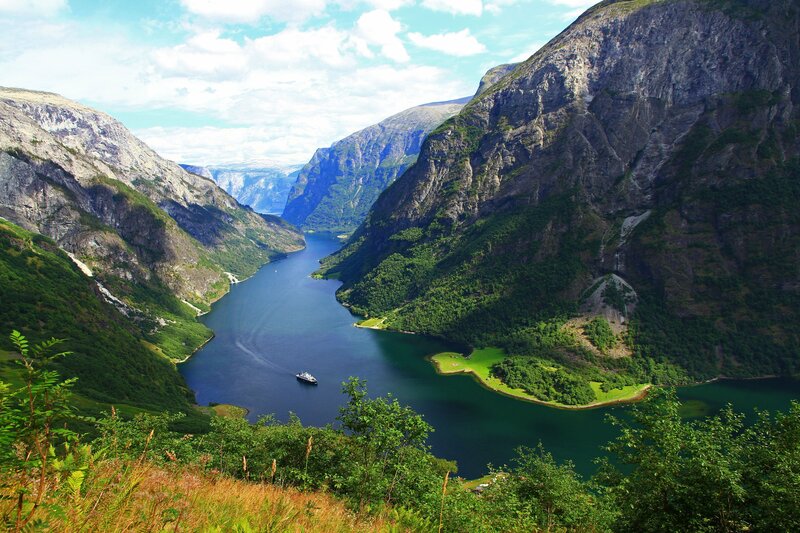 Landmarks such as the beautiful Tvinde waterfall, the famous Stalheimskleiva, the Nærøy valley, and the Flåm railway are some of the attractions along the route. 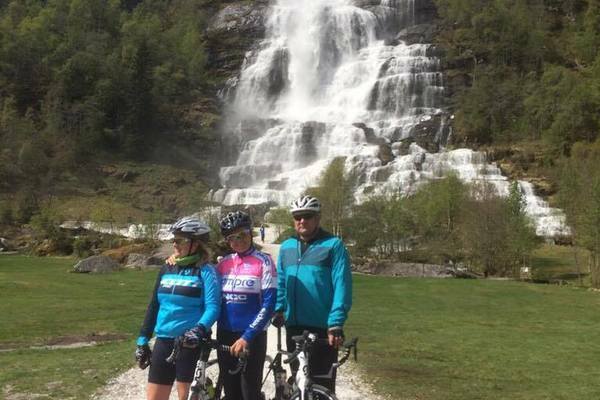 This trip includes three days of biking, a ferry boat ride on the Nærøyfjord and the famous Flåm Railway Line. 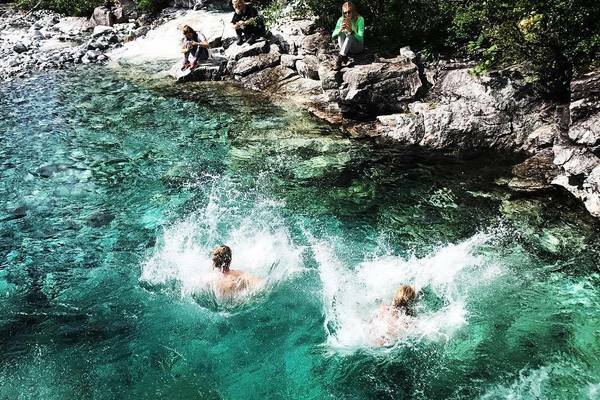 Additional activities along the route are the Viking Village exhibition in Gudvangen, local beer tasting in Flåm, and a refreshing swim in the “Keep Smiling” river. Looking for other dates? Send us an e-mail. Arrival in Voss. We will meet you at the train station in Voss and drive you to your hotel, Store Ringheim. At the hotel we will help you with the bicycles, adjustment and a small test-ride. If you want to, and have time you will get to know Voss on your own. It depends on your arrival time. In the evening you will be served a three-course dinner at the hotel. After a lovely breakfast at Store Ringheim Hotel & Restaurant you head towards Tvindefossen to admire the beautiful waterfall. On the way you will pass several lakes and small farmyards. This day you will bicycle both on smaller, less trafficked side roads and also on some more busy and trafficked stretches. From Tvindefossen you continue towards Stalheim Hotel which will be your accommodation for the night. At Stalheim you will be able to admire the stunning view from the hotel garden. You can also go for a evening walk down the famous Stalheimskleiva hairpin road before the dinner is served in the evening. 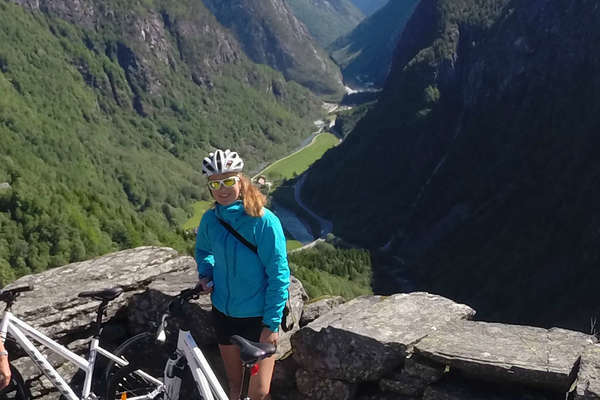 After breakfast at Stalheim Hotel you will then bicycle down the famous Stalheimskleiva hairpin road and continuing down the Nærøy valley, along the beautiful river towards Gudvangen. In Gudvangen you leave your bicycle and go by foot on board the ferry-boat. This ferry takes you on the famous Nærøy Fjord and Aurlands Fjord towards Flåm. There will be time for sightseeing and possibilities for lunch in Flåm before you enter the Flåm Railway Line. At Myrdal you will have to make a change of the train, where you will travel through a long tunnel and get off the train on a very local stop called Ljosanbotn. From Ljosanbotn train station bicycling starts again in the afternoon down the Raundalen valley towards Voss. About 500 meters down the river from Ljosanbotn train station there will be possibilities for a very refreshing swim in the “Keep Smiling” river, before continuing bicycling to Voss. In Voss your new hotel will be Fleischers Hotel. It is possible to go for a swim in the hotel pool before dinner is served in the evening.